In 1843, a small group of men led by Samuel Farnsworth came up the Wold River by paddleboat from Oshkosh to investigate the possibility of constructing a sawmill to market the huge pineries in the area. The following year Charles Westcott and a small crew of men constructed a crude, water-powered sawmill made of equipment brought up the river by raft. A beaver dam at the site was improved with spillways and sluice gates to provide the hydropower needed to move a saw blade. The mill was quite successful until the dam at the paper mill was constructed in 1871 causing the sawmill to lose its hydropower. Later John D. Kast operated a flour mill and a planing mill on the site. The Kast home was the original meeting place for the Episcopal Church congregation in Shawano, and is now part of the Heritage Park Museum. The marker is located on northbound North Franklin Street, just north of its intersection with West 1st Street, where North Franklin Street dead-ends at Sunset Island, on the grounds of Shawano County Heritage Park, Shawano, Wisconsin 54166. This marker is Stop No. 6 on the From the Pineries to the Present Tour No. 1. 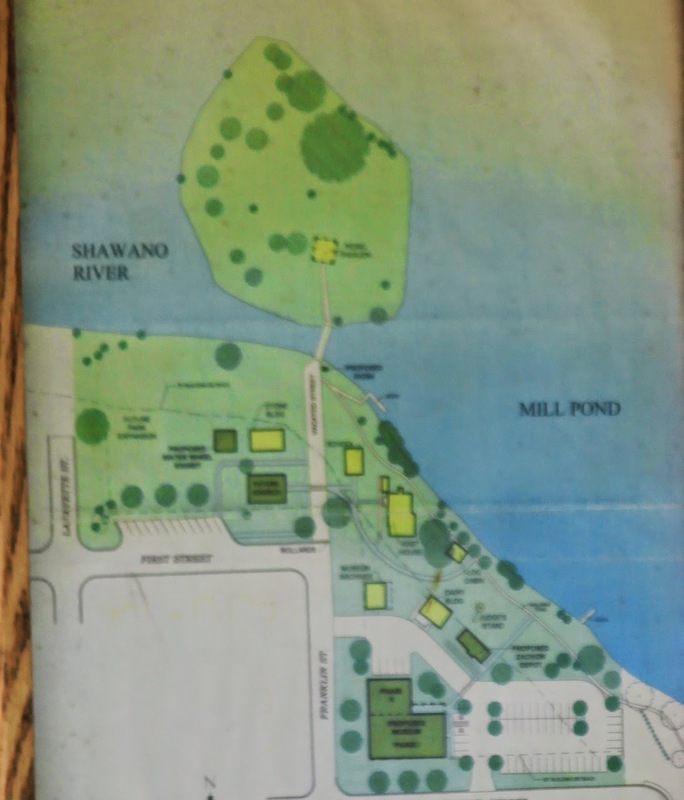 See also, Shawano County Heritage Park & Sunset Island and Shawano County Heritage Park Museum & Archives / Shawano County Historical Society, also at this location. A view of nearby Mill Pond. The marker location is just past this sign.